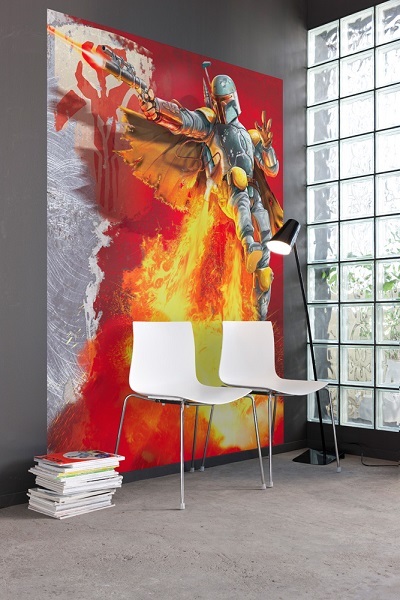 How does it work: Prepare wallpaper adhesive supplied with your wallpaper, apply it to the paper and then stick it to the wall. 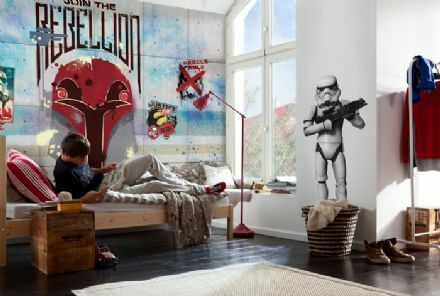 Now you can enjoy your new stunning wall! Detailed instruciton added to each product. 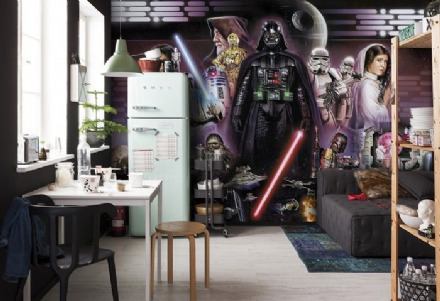 Search tags: Giant size star wars art, wall covering. 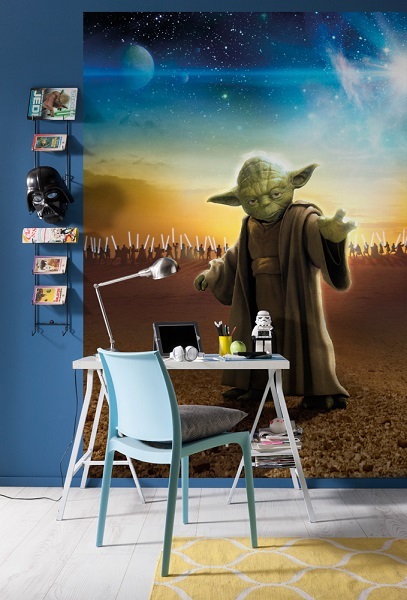 Large wall mural for office or living room, bedroom wall art, giant poster style wallpaper. 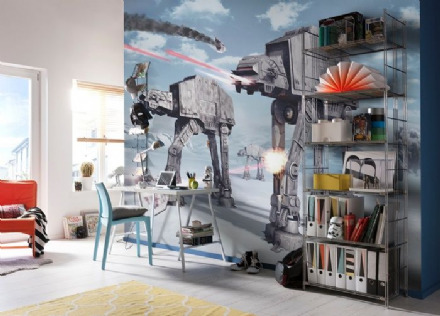 Boys and girls room decor, tenagers wall murals, photo wallpapers, Star Wars wall mural wallpapers. 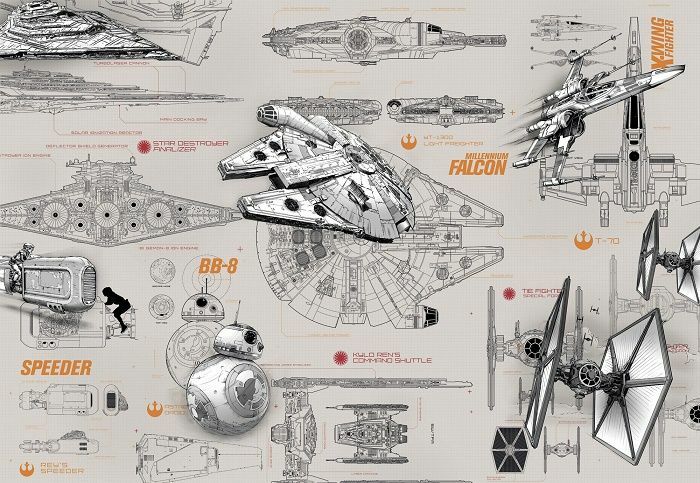 Low price, worldwide shipping, black style home wall decor, star wars saga. 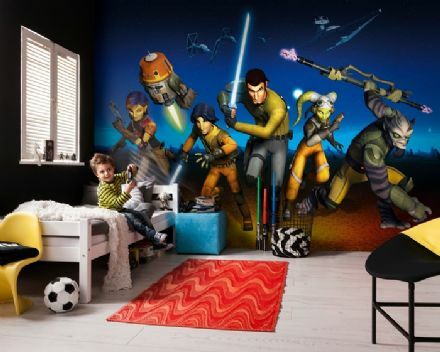 This is a very impressive wall mural that has great colors and very nice details in the printing. A few lines didn't match up 100%, however most people will never notice. 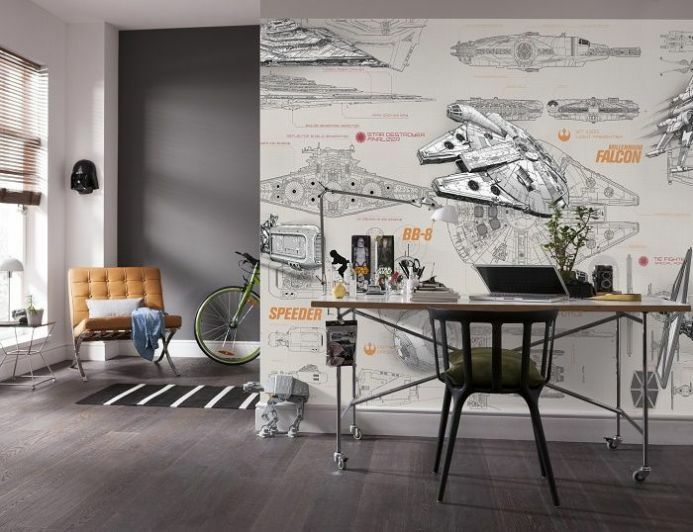 This isn't the easiest paper to install, because of the background grid marks and all the artwork that has to exactly aligned, so if you're new to wallpapering, you might want some experienced help with this one. I would have preferred the paper to be pre-glued, but it went on ok. Just work slow & carefully, and you can get great results!